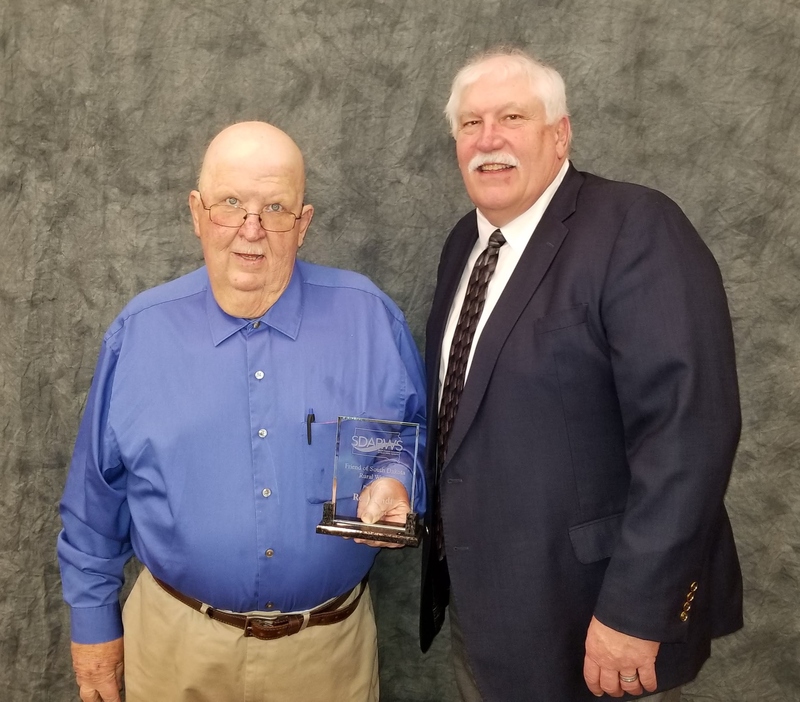 Chairman Red Arndt (left) was honored with the SD Association of Rural Water Systems’ prestigious Friend of Rural Water Award at the Annual Technical Conference in Pierre on January 10, 2019. Presenting the award was Ron Gillen, President of the SDARWS. Red was recognized for his long-time hard work and commitment to bring rural water to the tristate region. He is an original board member from when the project was incorporated in January 1990. Red became vice-chairman in 1994 and has served with great distinction as chairman since 2004. It is conservatively estimated he has made over 70 trips to Washington, D.C. and over 70 trips to St. Paul to advocate for the project, not to mention countless other meetings with state and federal leaders. Congratulations to Red on this well-deserved award!